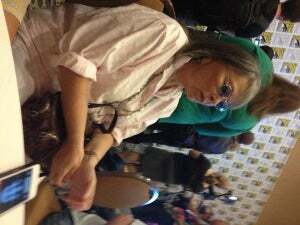 In her first-ever appearance at San Diego Comic Con International, former U.S. Presidential candidate and sitcom star Roseanne Barr talked with reporters after appearing at the TV Land Legends of Comedy panel earlier today. Among the topics of conversation, of course, was onetime Roseanne writer and current Marvel Studios maven Joss Whedon. "I'm not surprised by his success," Barr said of Joss Whedon, when asked about her former protege and the current king of Comic-Con. "I think he's got a great mind, he can see far ahead and he has real good visual ideas and he can tell a story really well. I'm so proud of finding him and giving him his first job when he was only 19--and I hired him with no script!" Asked whether she had asked Whedon for a part in Marvel's as-yet-untitled Avengers sequel, Barr said, "No, I didn't. I think that Joss will have to discover me on his own." The thirty-nine (by her count)-year-old actress also reminded the audience that she will be playing Kraang Prime on Nickelodeon's Teenage Mutant Ninja Turtles soon, and denied rumors flying around Hollywood that she's got a "ten-ninety deal" akin to what Charlie Sheen had with Anger Management set up at NBC. "I don't, really. Everybody's saying that but it's not true," Barr said. "I'm trying to get on YouTube." It doesn't sound like she's planning on appearing on The Big Bang Theory anytime soon, either, in spite of her connection to star Johnny Galecki, who appeared on Roseanne for years. When asked, Barr said only, "Everybody has come to me about being on The Big Bang Theory, yeah." 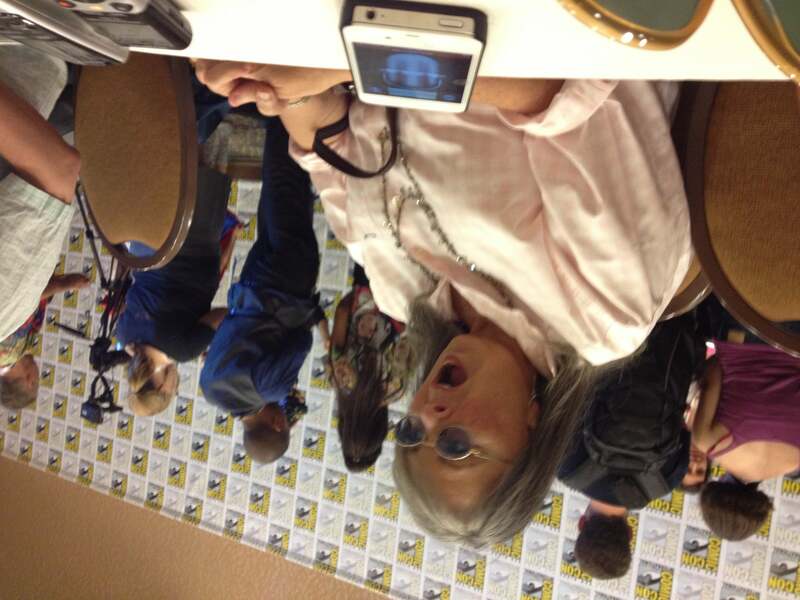 What are her thoughts on other aspects of Comic-Con culture? Well, she didn't like The Hunger Games--although it didn't seem totally clear that she actually remembered what the film was at first--but her grandchildren love The Walking Dead. She also said that she's interested in superhero stories, and wants to write one herself--to star in, of course. "I think it would be powers of the mind, to maybe see the future or something. I don't know," Barr said. She proposes the name "Fat Girl." Barr said that she had John Goodman's Dan Conner killed in the final episode of Roseanne "for many good reasons. One: I never want to do a reunion show. Now, I wish I hadn't killed him because now I would do a reunion show...but I've already pissed them all off so they wouldn't do it." She joked about doing a reunion show using his ghost, or a zombie--or Ashton Kutcher.